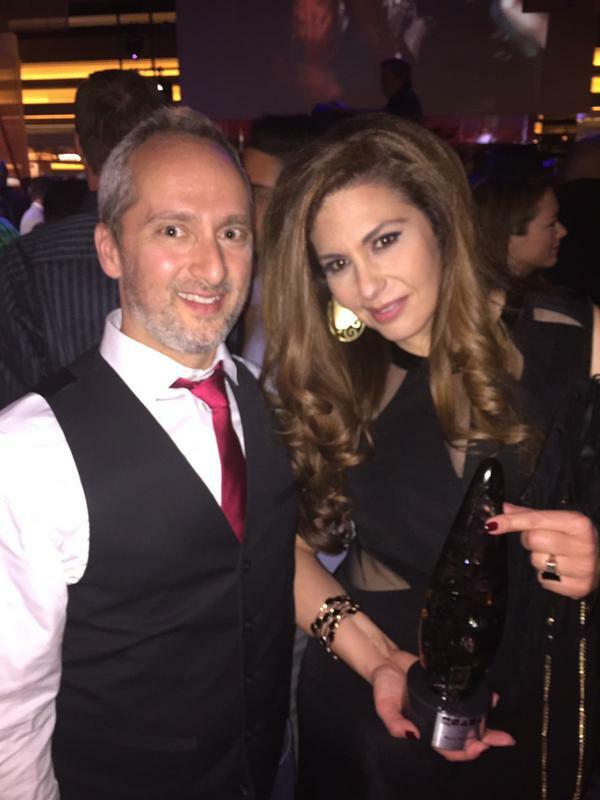 Won 2015 ‘Colorist of the Year’ at the North American Hairstyling Awards (ps. Did you know that her winning pictures were taken at the Artego Creative Lounge at MC College Edmonton?!). 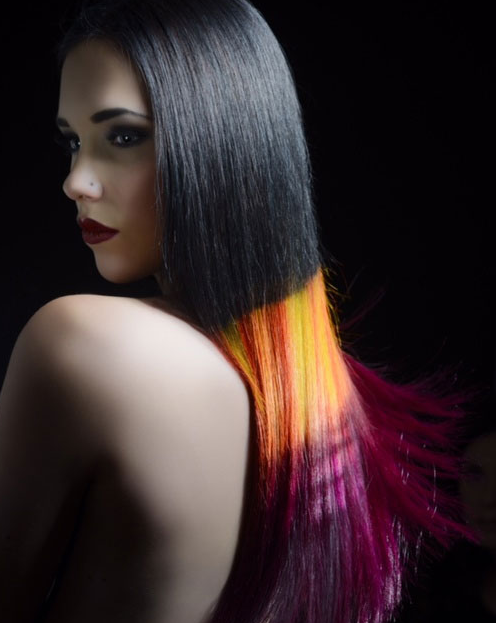 Finalist for ‘Master Colourist of the Year’ at the 2012, 2014 and 2015 Contessa Awards. 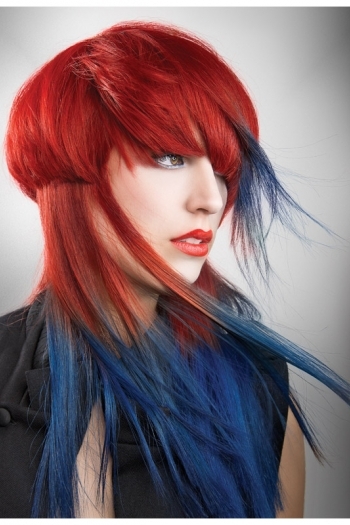 Finalist for ‘Colourist of the Year’ at the 2012 Mirror Awards. Today, she is a Color Educator at Revlon Professional Canada and a Master Stylist at The Men’s Room in Edmonton, Alberta. Marlo Steenman with MC College Group President, Joe Cairo. Her obsession with hair started at a young age: “I remember [my dad] bringing home mannequin heads to practice on…I would do their hair…make a salon in my bedroom…I CAUGHT THE BEAUTY BUG!”. Coming from a family full of Hairstylists, who all went to MC College (it was called Marvel back then), she decided to enroll in the Hairstyling program as it offered everything that she was looking for: good reputation, hands-on education and opportunities to practice her craft. “Some of the Instructors still stand out to me and as I look back…I now understand the things they would tell you and it all makes sense”. From Master Colorist to Educator and Platform Artist, Marlo has dedicated over 26 years to the beauty industry. She has jet setted across the globe to places such as Spain, France, Mexico, Dominican Republic, New York, Las Vegas and throughout Canada to name a few, to teach and perform in hair shows. Looking back at her career, Marlo attributes her mentor, Philip Capobianco for her success and growth. Phillip was a global performing artist, hairstylist, salon owner and creative manager at Colomer Canada. “He really guided and pushed me…Through him, I was able to meet a number of amazing artists who always support me”. We asked her: What advice would you give to MC College students? “Dress the part and act the part….Ask the industry people for guidance, we are an amazing community and we are willing to help each other out…you will never know everything…remember we are all students for life”.